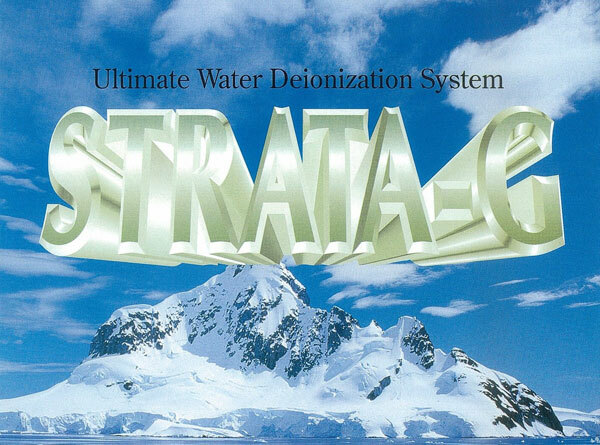 STRATA-G achieving the shortest conceivable regeneration duration, the highest possible deionized water quality and the minimun of site work. Organo, a leader in water treatment takes pride in announcing the development of the STRATA-G high performance water deionigation system. Two-bed(with a decarbonator) systems assure stable operation and savings in resources. A counter-current regeneration mode also contributes to savings in sesoures (regenerants) and superior deionized water quality. 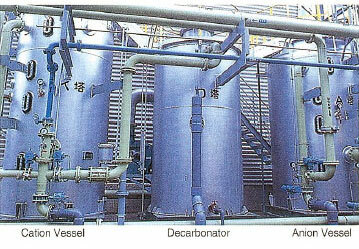 In the cation vessel, a strong acid cation resin and a weak acid cation resin are stratifed and separated by a partition. (In the conventinal stratified beds, strong and weak electrolyte resins are stratified by backwash taking advantage of the difference in specific gravity between the two resins.) In STRATA-G, the lower strong cation electrolyte resin occupies the entire lower plenum of the vessel whereas the weak cation electrolyte rasin is charged in the upper plenum with a space of free board. Hence, the upper diritier weak cation resin bed is “backwashed” and simultaneously regenerated up flow in a fluidized state. This means that STRATA-G permits omitting the backwash in the conventional sense of the word. 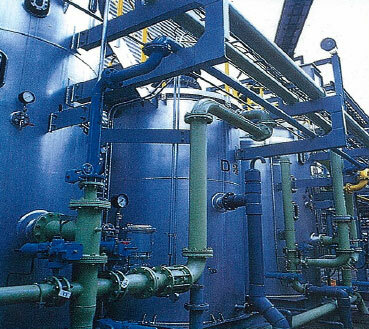 The pertition of the strong and weak cation resin beds in conducive to reducing the regeneration duration, minimizing the quantities of waste water, enhancing the purify of deionized water and further decreasing the regenerant consumption. Strata-G consists mainly of a cation vessel, a decarbonator and an anion vessel. That is to say, Strata-G has much the same constitution as the conventional two-bed with a decarbonator(degasifier), However, an extensive improvement has been made in designing Strata-G in terms of vessel internals, mode of regeneration and so forth. Thus, Strata-G has a simple constitution with a minimus of pipes and automatic values.